Who can resist the natural beauty of brass? Your Westchester Locking Mailbox and Basic Post will be the pride and joy of the neighborhood. 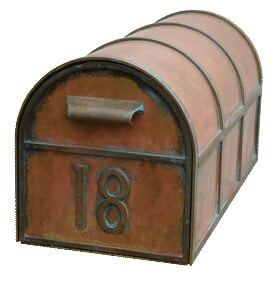 Made from heavy gauge solid brass sheets and bar stock, locking mailboxes are carefully hand made in the US. Since each locking mailbox is hand finished, no two are exactly alike. 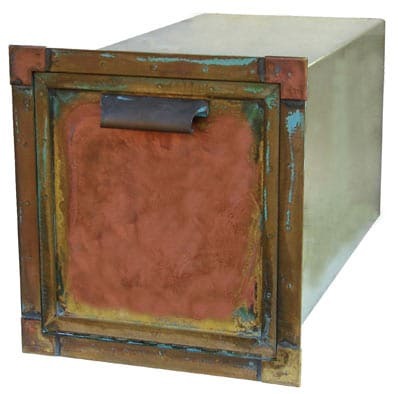 Natural brass finishes darken with age and require little to no maintenance. Components are hand cut and individually welded resulting in a solid structure, virtually impossible for vandals to pry apart. 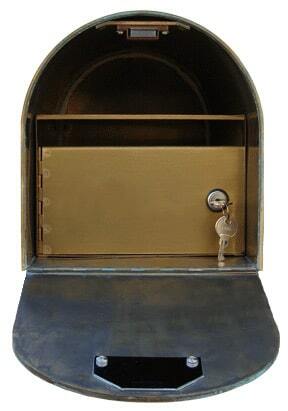 Solid brass locking mailbox insert provides added security; comes with 2 keys. 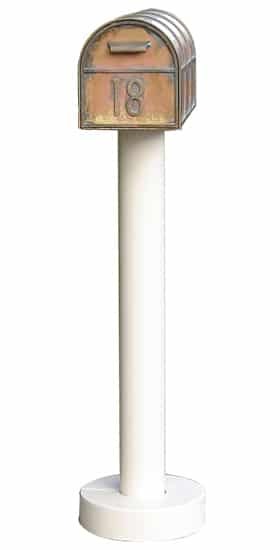 Surface mount basic post made from aircraft grade aluminum tubing and cast aluminum parts. From top to bottom, post components are bead welded for a smooth, uniform look. Reinforced parts won’t bend or brake. 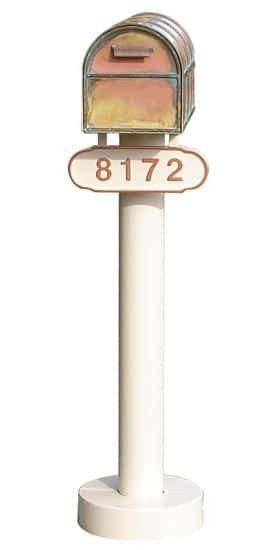 Post is finished in a high grade exterior paint, in Manila tan. Matching aluminum address plaque included. Raised numbers painted in highly visible bronze color. 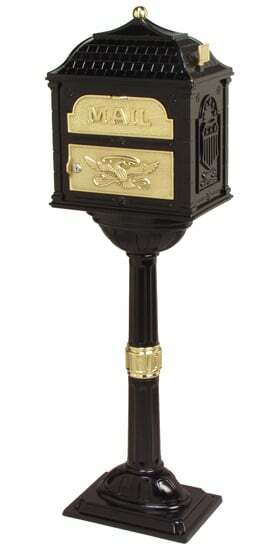 Westchester Locking Mailboxes and Basic Posts are an outstanding team made for years of hassle-free use and enjoyment. 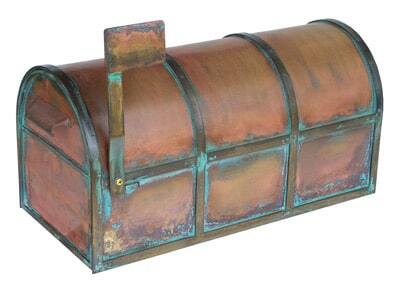 Check out the rest of our Locking Mailboxes or browse through all Mailboxes for sale.